John Silvester is a veteran crime journalist we love to read in ‘The Age’ to get the inside stories on the underworld, bikies, cops and crims. He has written several crime books including the top-selling ‘Underbelly’ series on Melbourne’s gangland wars which he co-authored with Andrew Rule that was subsequently adapted for television to become a top-rating show. John’s popularity as an excellent information source on all matters crime, past and present, has resulted in him being a regular commentator on 3AW’s Breakfast Show under the pseudonym of ‘Sly of the Underworld’ with listeners hanging on to his spontaneous wit and brilliant turn of phrase. He says his interest in crime stems from his late father Fred Silvester who was not a crook but a top homicide cop. After graduating from Latrobe University he worked at the ‘Melbourne Sun News Pictorial’ as a police reporter and soon became chief police reporter. John remained with the ‘Herald Sun’ organisation for 15 years before moving across to ‘The Age‘.While it doesn’t take much to get him to talk about the infamous crime cases he has covered, he is somewhat shy about talking about his award-winning achievements as a journalist. 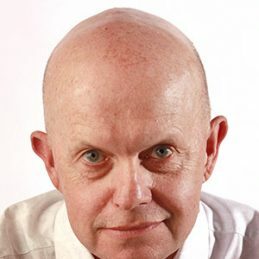 For example, he was awarded an Australian Journalists Association – ASEAN Scholarship that took him to South East Asia to study crime and corruption and awarded a News Limited Exchange to work in London on the ‘Sunday Times’ Insight Team.He has won numerous coveted awards including the Ned Kelly Award for the Best True Crime Book in 2000 and the Ned Kelly Lifetime Achievement Award in 2005. John has won three Walkley Awards plus the Graham Perkin Journalist Of The Year, the Victorian Law Institute Journalist Of The Year and a number of Press Club Quill Awards. His engaging style of story-telling and wonderful sense of humour guarantees audiences will be exposed to an unforgettable experience.